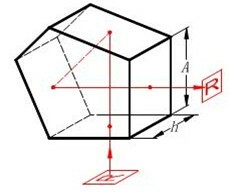 Penta Prism is a five-sided prism, featuring two important properties. First the image is neither inverted nor reversed while it is deviated by 90°. Secondly, it is a constant deflection device, i.e. all the transmitted rays are deviated by the same exact 90°. Slight movement of the prism does not affect the true right angle. The specifications will be different according to materials and dimensions.